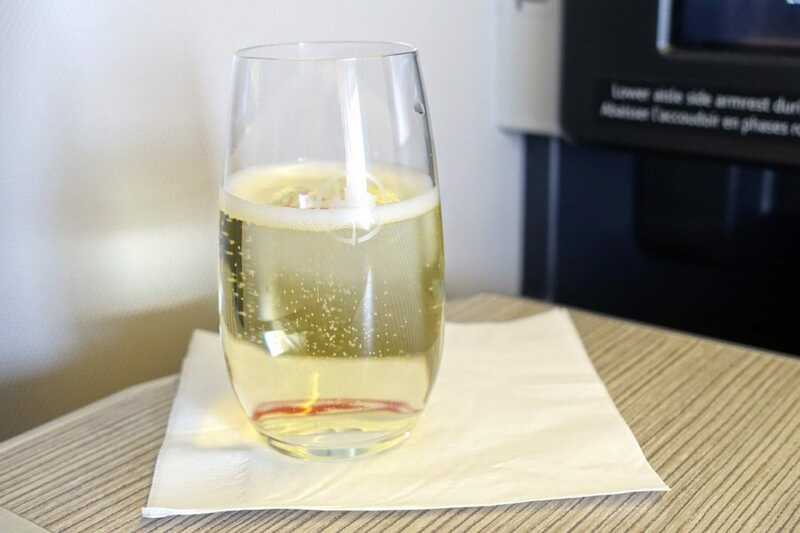 Whether you’re a frequent flier or have only flown a handful of times, chances are you’ve seen proof of how luxurious an experience in first class can be. 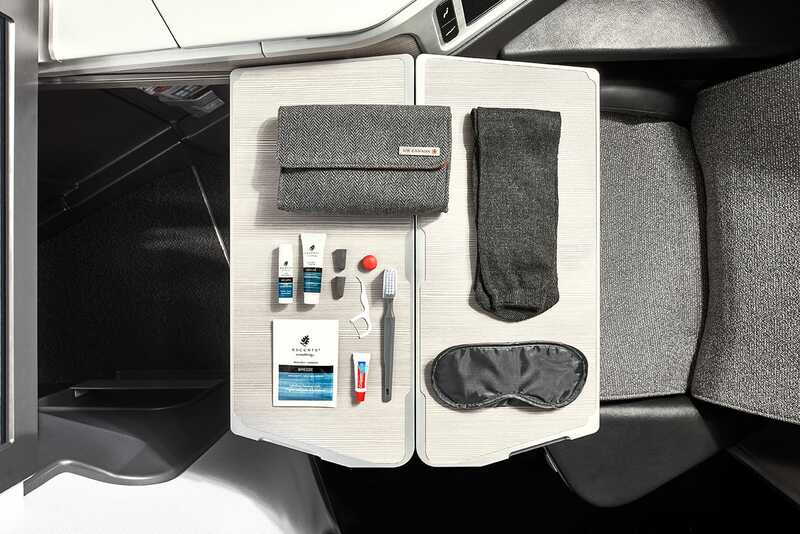 However, on some airlines, business class can provide an equally pampering journey – and a trip doesn’t have to break the bank. 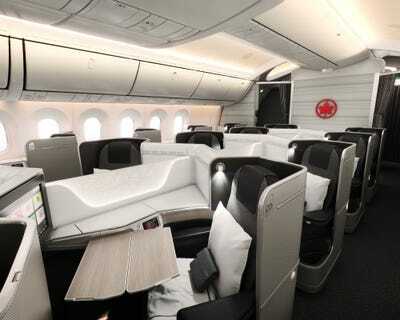 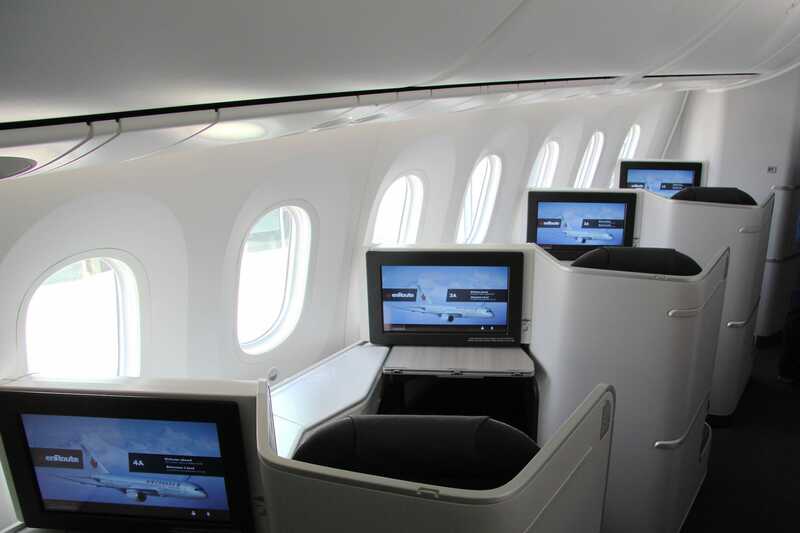 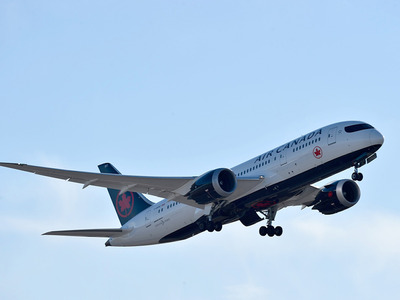 On board the new Boeing 787 Dreamliner or newly refitted Boeing 777 from Air Canada, passengers have the option of booking International Business Class “Executive Pods,” which have lie-flat beds, a remote that lets you order food and drink directly to your seat, and lighting that claims to help with jet lag. 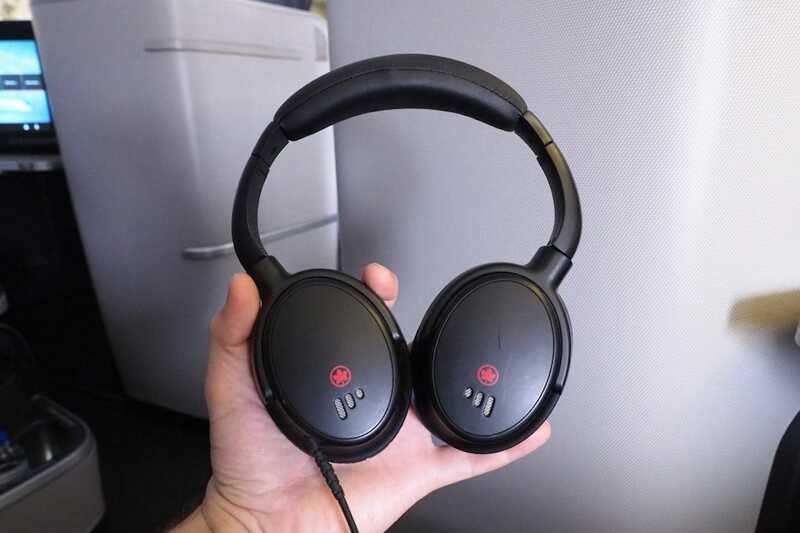 Zach Honig, Editor of The Points Guy website, flew from London to Toronto in one of the pods in July 2017 and reviewed his experience in a blog post. He paid $US2,500 round-trip for the journey. 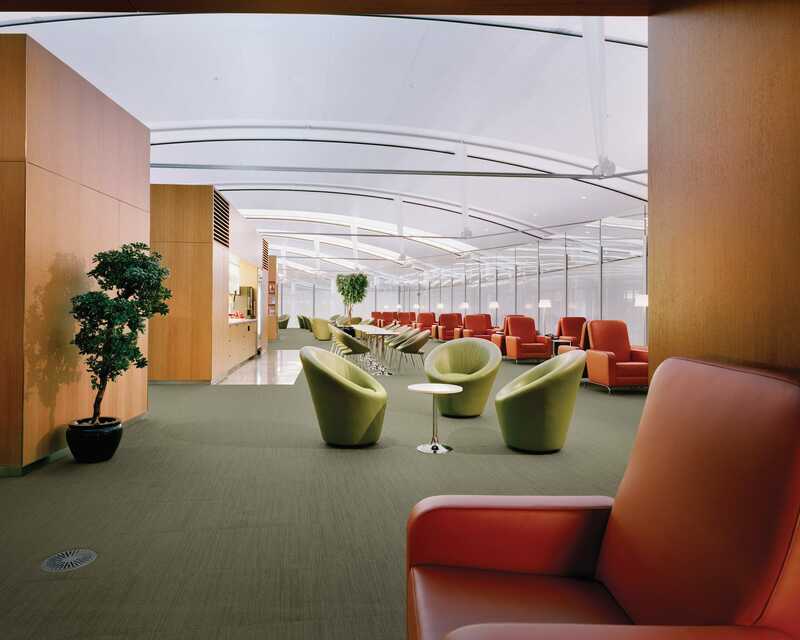 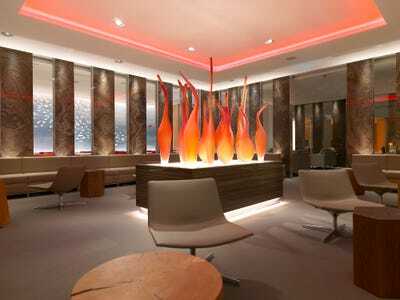 These bookings also give you access to one of the 22 global Maple Leaf Lounges. Here’s the entrance to the one at Heathrow, one of the airline’s flagship lounges. There’s a selection of hot and cold food, and a chef that will cook on request. 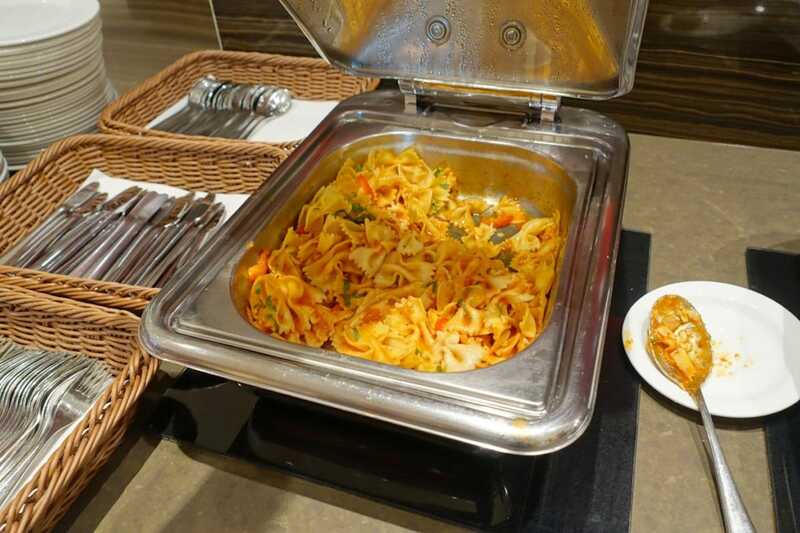 Here’s what was available when Points Guy Zach Honig visited the lounge. 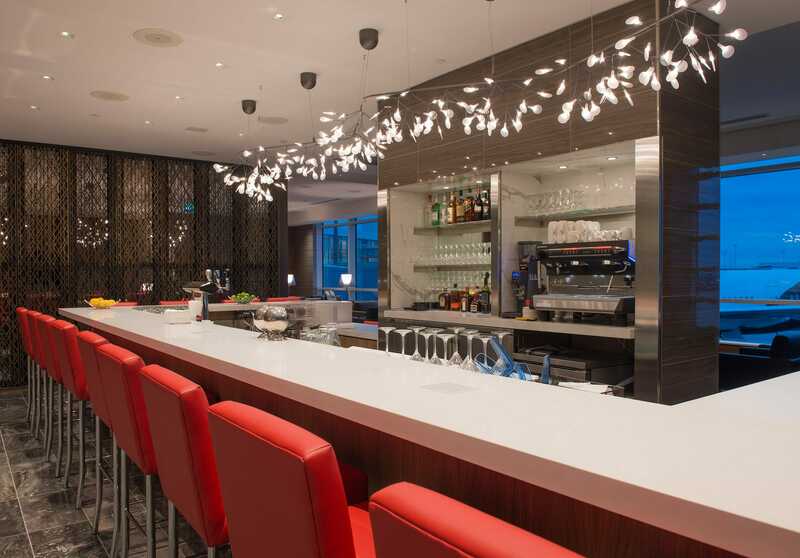 There was also a panini station, and there’s a tended bar with Molson Canadian beer on tap as well as wines and spirits. 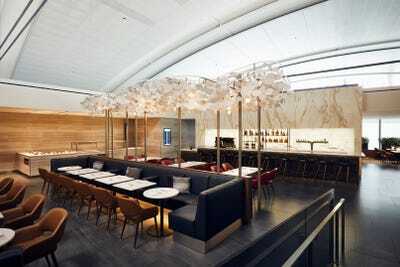 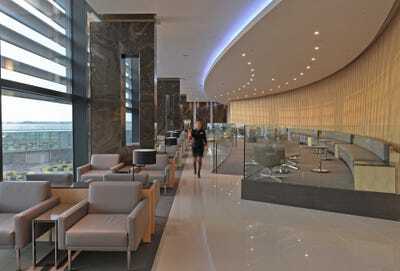 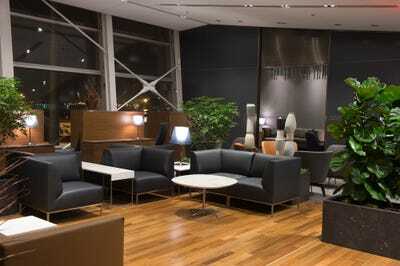 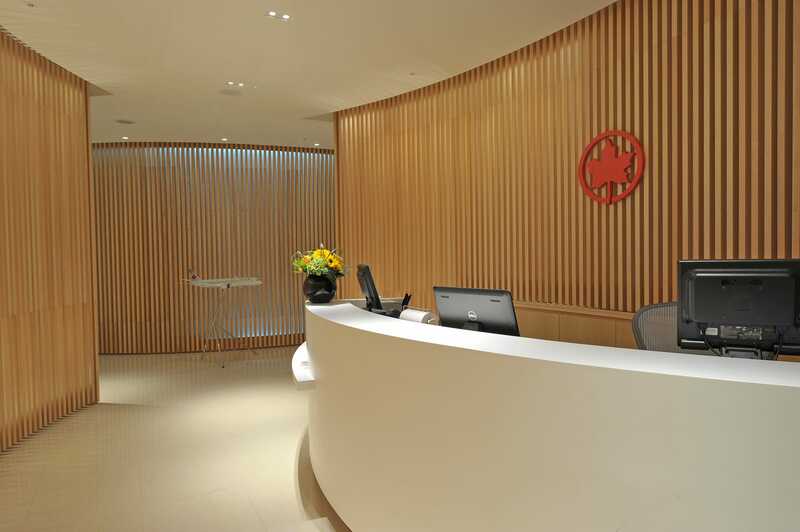 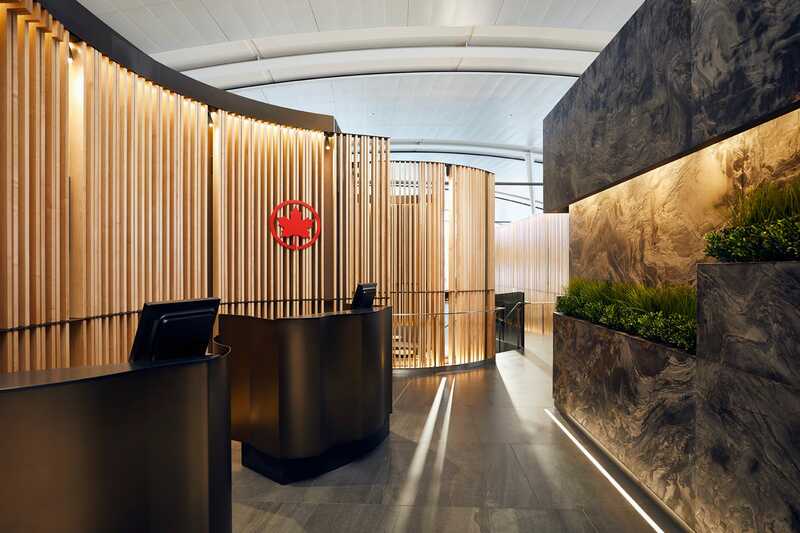 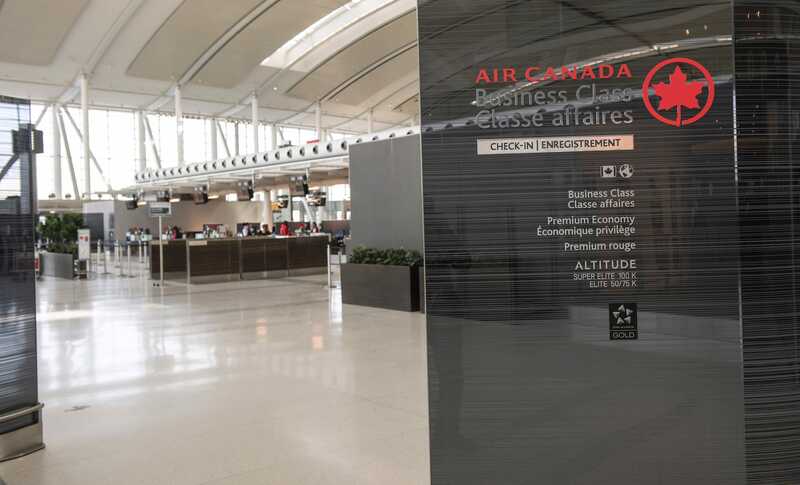 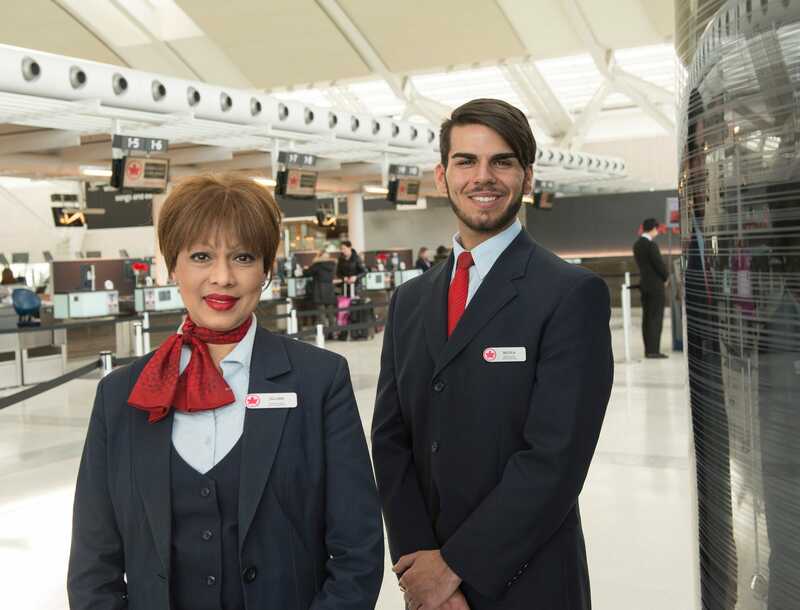 In Air Canada’s global hub of Toronto, business class passengers can even check in in a lounge setting. The airline opened a brand new ‘Signature Lounge’ for its international business class customers in Toronto in December 2017. 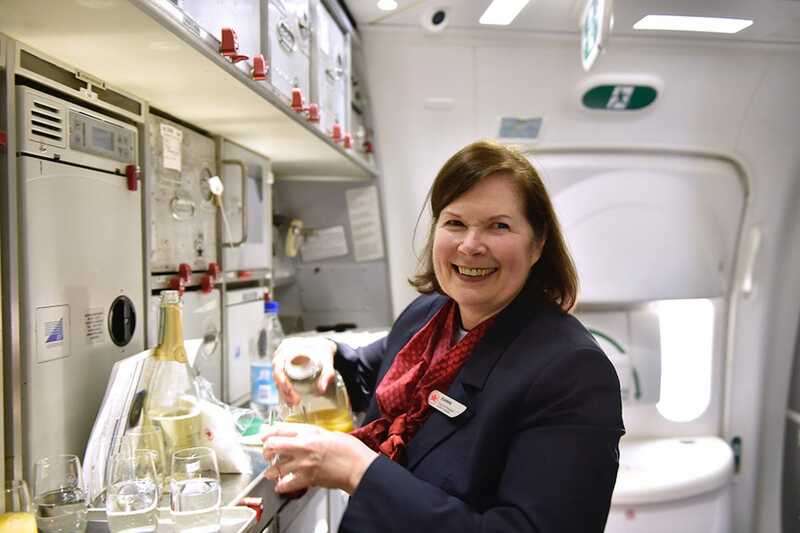 …or Champagne, fine wines, and cocktails. No matter which of the world’s lounges they started their journey in, once passengers have had their fill of free food and drink, they can board the new Boeing 787 Dreamliner or refitted Boeing 777 to be taken to their executive pod. 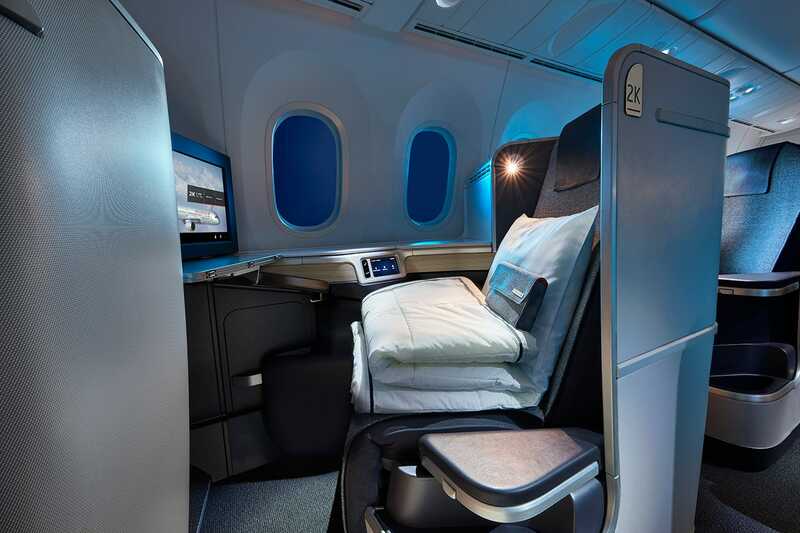 The pods come complete with seats with back support and a massage function, an “adjustable pneumatic cushion,” and adjustable headrests which also have a head and neck massage function. 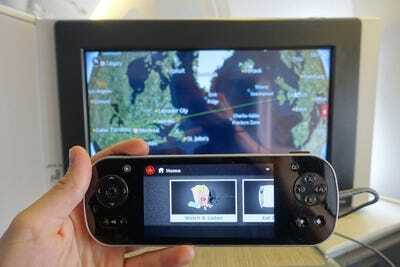 There’s even a smartphone-esque handset. 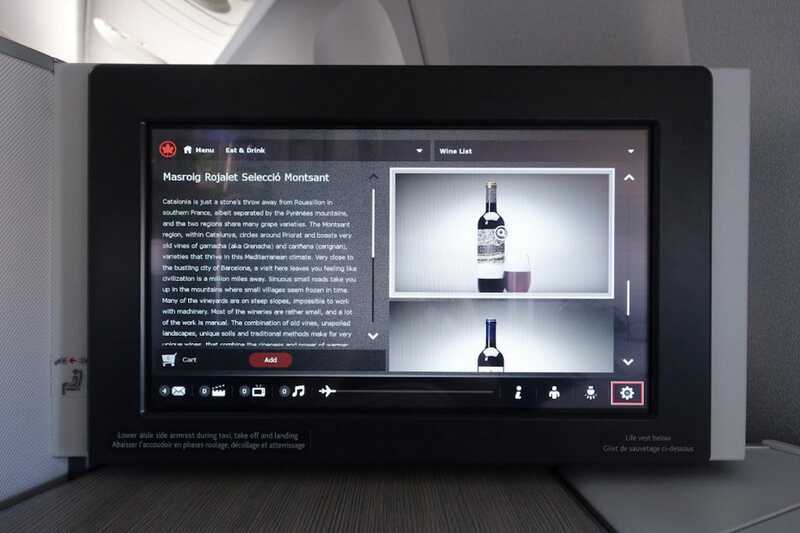 “You can select content directly on the main screen or use the included wired touchscreen remote,” according to Honig. Passengers seem pretty impressed by the “huge screen,” though. 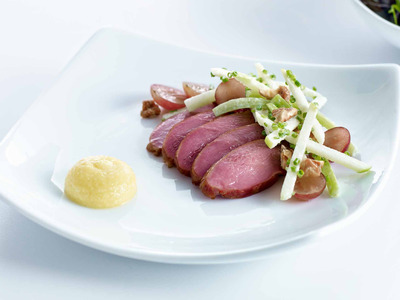 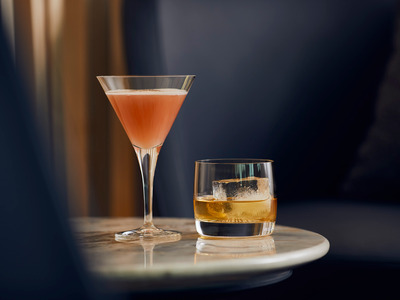 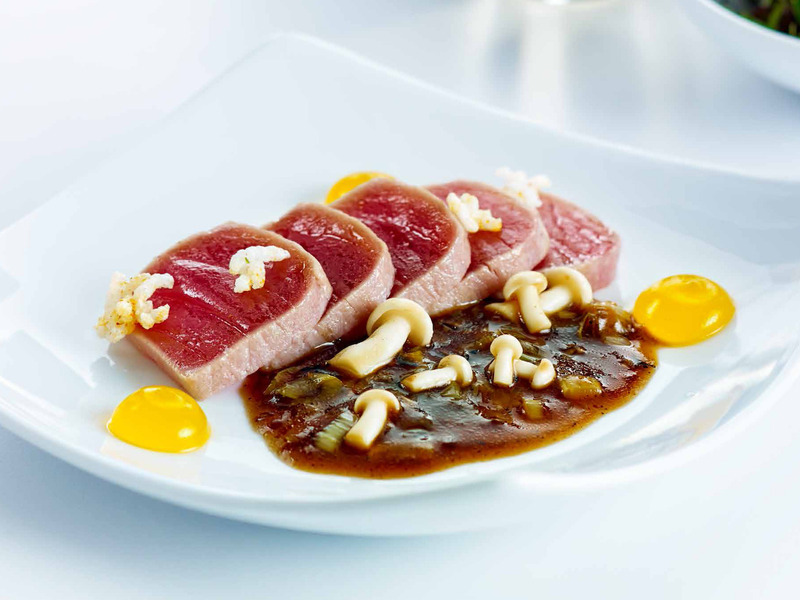 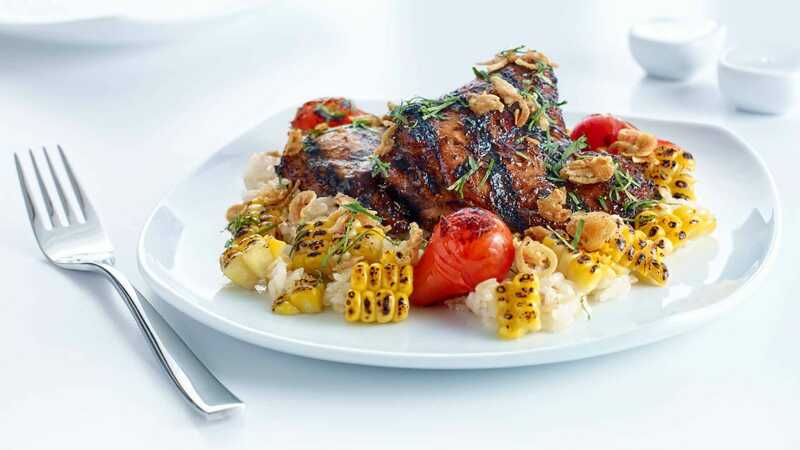 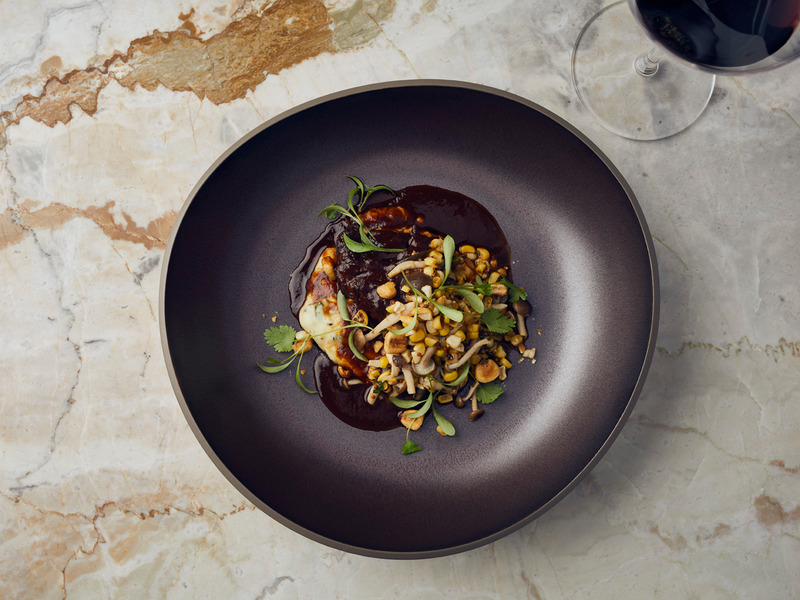 There are wines, spirits, beers, and soft drinks available through the flight, as well as “gourmet cuisine” from culinary partner Chef Hawksworth. 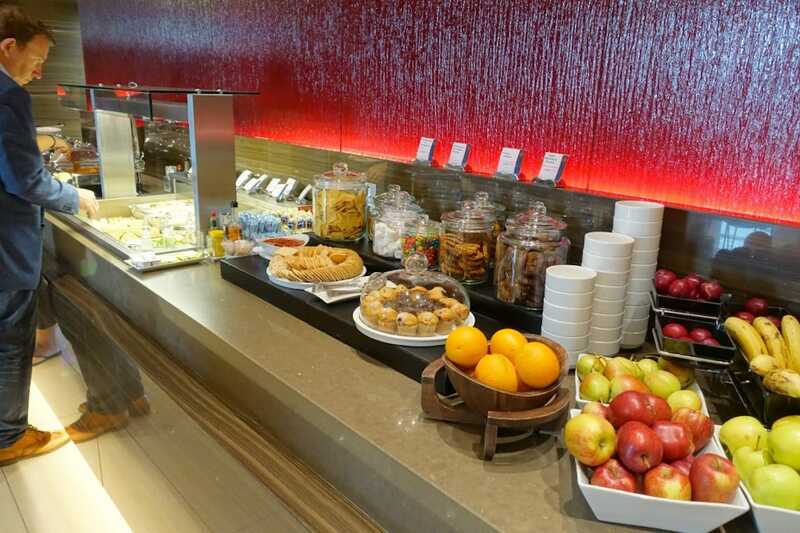 Here’s an example menu from London Heathrow to Toronto Pearson. 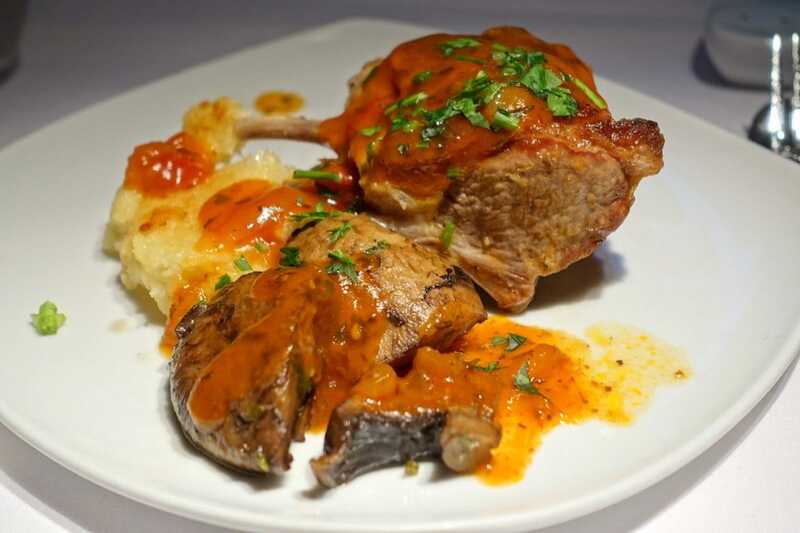 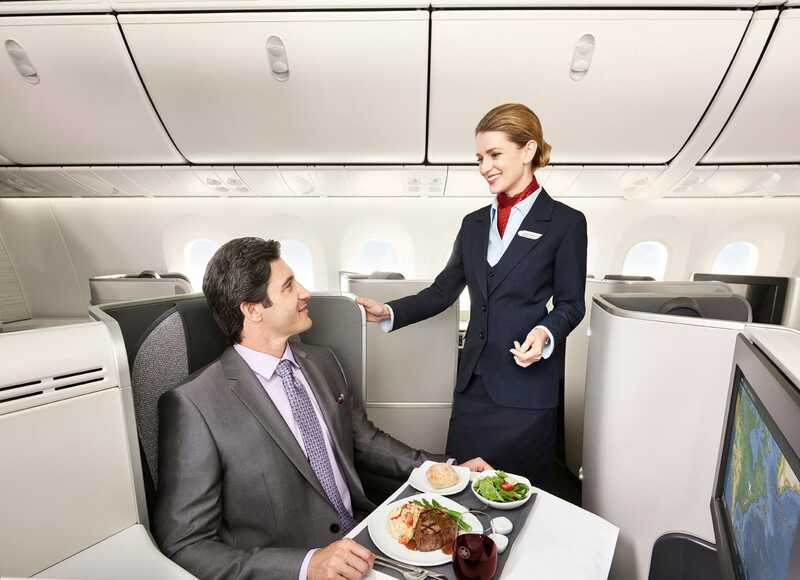 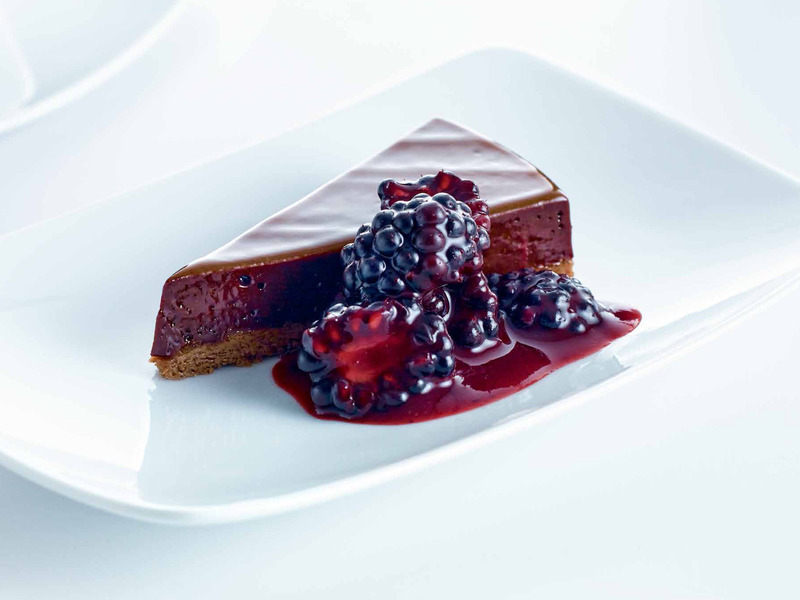 Passengers can order appetisers, main courses, and desserts. There’s also a food and drink section on the TV, and passengers can place an order from the monitor or remote. 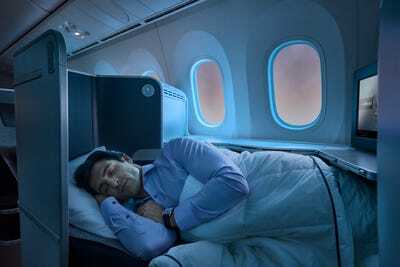 When it’s time for bed, the seats in the executive pods become lie-flat beds. 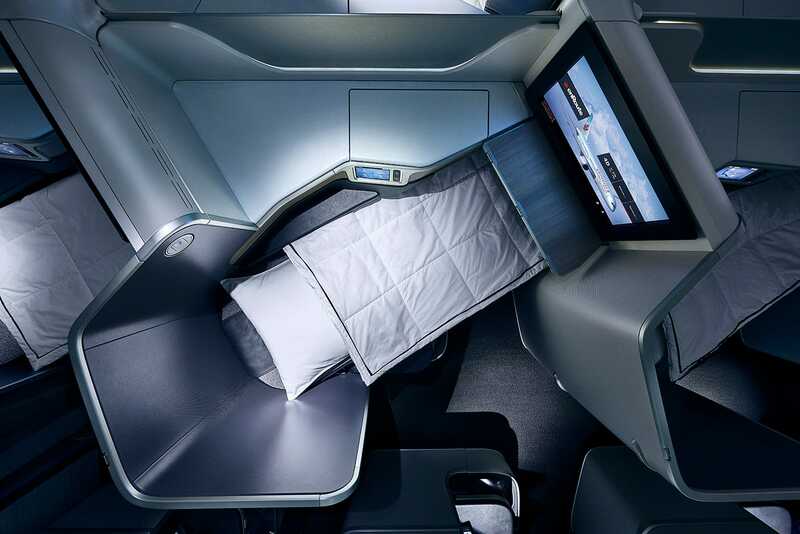 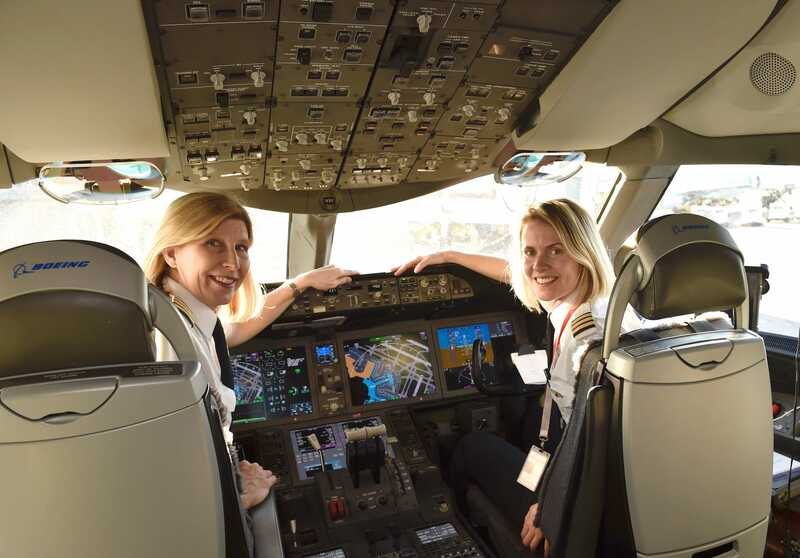 On the AC 787, this means they become 21 inches wide and 6′ 7″ long. 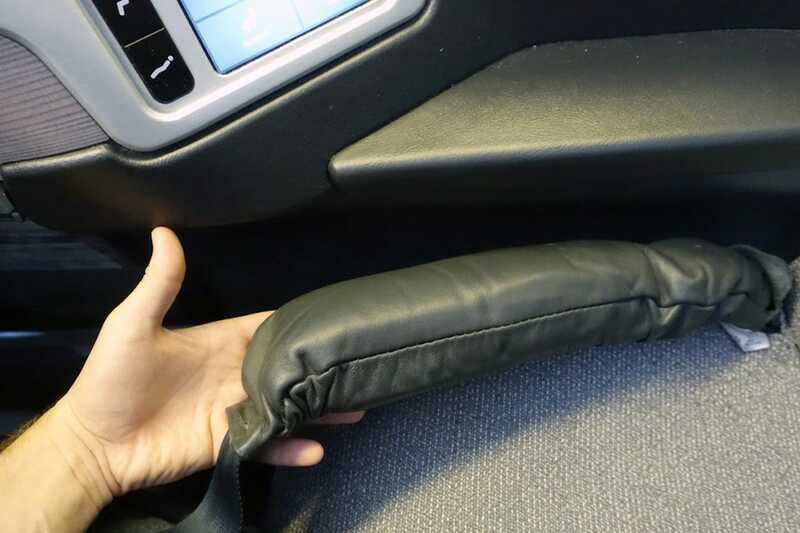 …But it fits adults, too. 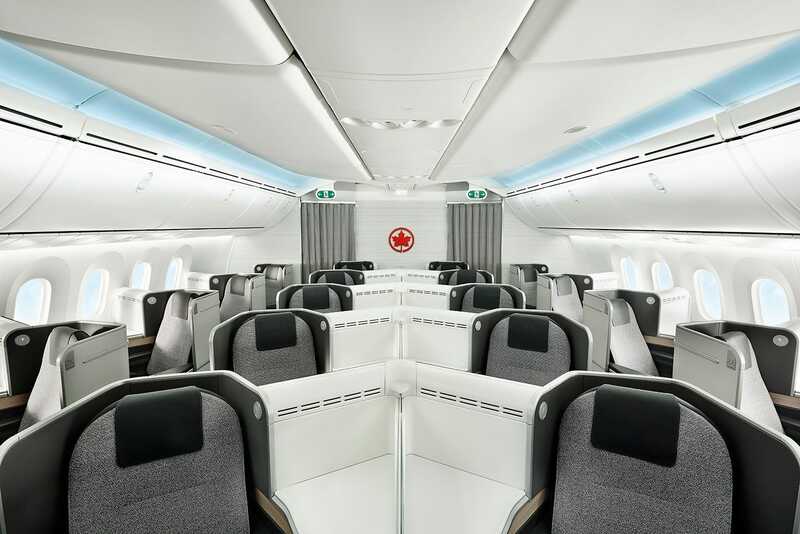 Ultimately, Honig said Air Canada’s new business class is “one of the most comfortable options for crossing the Atlantic” thanks to the comfy seat, roomy layout, and “better food and service than US carriers.” He didn’t like that there was no WiFi, though — and he found the seatbelt airbag pretty annoying.